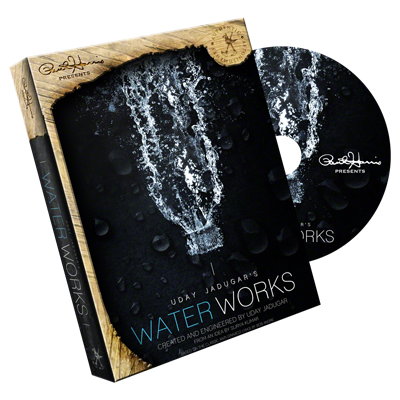 Water Works is a stunning anti-gravity water effect with a few minor adjustments which makes the effect even more impossible. The addition of being able to push a pencil/pen into the bottle whilst suspended is beautiful. You also get a bonus presentation with a blue "waterball". The gimmick is super simple and everything fits into the water bottle cap. This makes it super practical and easy to perform. The routine is simple and easy to perform, which allows you to focus on presentation. MAN, it is so good! It is super easy to do and I love that moment when I get to push that pencil into the bottle. The other great moment is when you do the clean up (when it works), you can hand everything out for examination. You don't palm anything at all and you are pretty much left clean. The gimmick supplied will last you a long time. I really liked how you get a bottle straight out of the box to start with, because as soon as you get it, you want to try it out. The DVD was taught very well by Bro Gilbert. There were a few things he spoke about on the DVD regarding handling and supplies you will get with the product, however in the box there was a sheet of paper saying you won't be getting the supplies spoken about and the alternatives they will be using instead. Also there was a better reset method on the paper, which works 100% of the time.